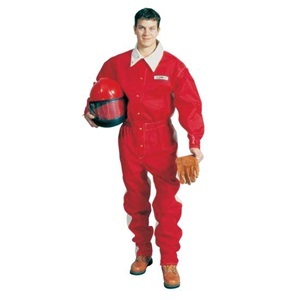 The Clemco light-duty blast suit protects the operator from the impact of rebounding abrasive. 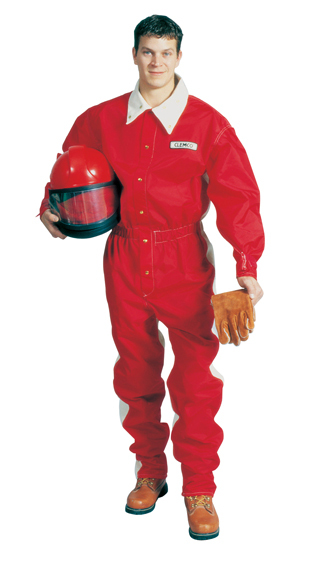 The suit is a cost-effective alternative to a heavy-duty suit for intermittent or short-term blasting, and for non-blast personnel working at the blast site. It weighs less than Clemco's heavy-duty blast suit. The nylon and cotton construction is easily machine washable. Discarding the light-duty suit after a toxic dust job wastes less money. For rental outlets, the low-cost suit makes it possible to stock suits in sizes to fit almost any customer. BLAST SUIT - LIGHTWT. LG.